Institute for Systems Biology (ISB) has received a $6.5 million, up to two­-year, federally funded contract from the National Cancer Institute (NCI), National Institutes of Health (NIH). ISB is one of three organizations awarded a contract by NCI to develop a cloud-­based platform that will serve as a large­-scale data repository and provide the computational infrastructure necessary to carry out cancer genomics research at unprecedented scales. ISB’s Shmulevich group will serve as the lead on the project with two partners: Google, Inc., and SRA International, Inc. (a Fairfax, Va.­based provider of IT solutions and professional services to government organizations). 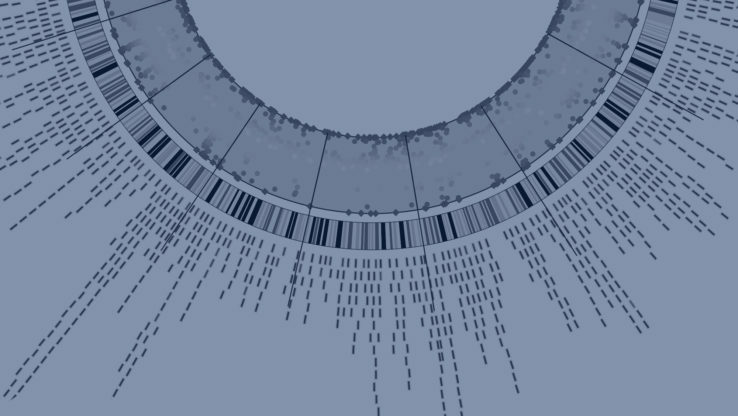 Learn more about ISB’s work with The Cancer Genome Atlas here. ISB is hiring engineers. Called the Cancer Genomics Cloud (CGC), the project will migrate the massive amounts of data collected from TCGA (The Cancer Genome Atlas) to Google Cloud Platform and, importantly, provide easy and secure access to that information, with the requisite compute power to manage and analyze large datasets. Funded by the NCI and the National Human Genome Research Institute, TCGA is a comprehensive and coordinated effort to accelerate understanding of the molecular basis of cancer through the application of genome analysis technologies, including large­-scale genome sequencing. Read news coverage about this project. “The CGC will democratize access to the wealth of cancer genomics data by substantially lowering the barrier to accessing and computing over these datasets,” said Dr. Ilya Shmulevich, professor at ISB and CGC principal investigator. “Cancer researchers will be able to analyze and explore entire cohorts of rich genomic data, without needing access to a large local compute cluster. The CGC will also facilitate collaborative research by allowing scientists to work on common datasets and projects in a cloud environment. ISB, which houses one of the Genome Data Analysis Centers within the TCGA project, will respond to the needs of the research community and spearhead the development of applications that will provide community access to the cloud­based data and computational infrastructure. ISB will also provide programmatic examples for others in the research community to develop novel methods and applications. The Institute for Systems Biology is a nonprofit biomedical research organization based in Seattle, Washington. It was founded in 2000 by systems biologist Leroy Hood, immunologist Alan Aderem, and protein chemist Ruedi Aebersold. ISB was established on the belief that the conventional models for exploring and funding breakthrough science have not caught up with the real potential of what is possible today. ISB serves as the ultimate environment where scientific collaboration stretches across disciplines, where our researchers have the intellectual freedom to challenge the status quo, and where grand visions for breakthroughs in human health inspire a collective drive to achieve the seemingly impossible. Our core values ensure that we always keep our focus on the big ideas that eventually will have the biggest impact on human health. Since 2000, ISB has grown to about 200 staffers, which includes 9 faculty members and laboratory groups.